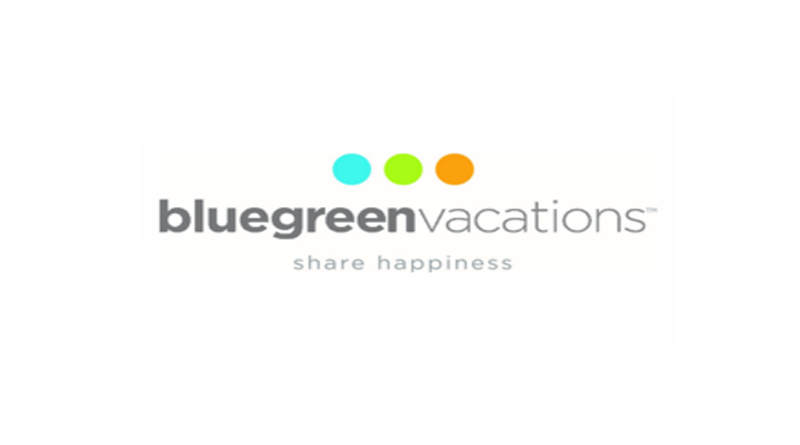 BBX Capital Corporation (NYSE: BBX) (OTCQX: BBXTB) (“BBX Capital”), announced that Bluegreen Vacations Corporation (NYSE: BXG), which is 90% owned by BBX Capital, issued the following release. About BBX Capital Corporation: BBX Capital Corporation (NYSE: BBX) (OTCQX: BBXTB), is a Florida-based diversified holding company whose activities include its 90 percent ownership interest in Bluegreen Vacations Corporation (NYSE: BXG) as well as its real estate and middle market divisions. For additional information, please visit www.BBXCapital.com. About Bluegreen Vacations Corporation: Bluegreen Vacations Corporation (NYSE: BXG) is a leading vacation ownership company that markets and sells vacation ownership interests (VOIs) and manages resorts in top leisure and urban destinations. The Bluegreen Vacation Club is a flexible, points-based, deeded vacation ownership plan with approximately 213,000 owners, 67 Club and Club Associate Resorts and access to more than 11,000 other hotels and resorts through partnerships and exchange networks as of December 31, 2017. Bluegreen Vacations also offers a portfolio of comprehensive, fee-based resort management, financial, and sales and marketing services, to or on behalf of third parties. Bluegreen is 90% owned by BBX Capital Corporation (NYSE: BBX) (OTCQX: BBXTB), a diversified holding company. For further information, visit www.BluegreenVacations.com. BOCA RATON, FL — April 18, 2018 — Bluegreen Vacations Corporation (NYSE: BXG) (“Bluegreen” or the “Company”), a leading vacation ownership company, today announced the acquisition of The Éilan Hotel and Spa in San Antonio, Texas for approximately $34.3 million. Bluegreen also plans to add a 13,000 square foot sales office at the resort by year end, which Bluegreen believes will expand its footprint for new business prospects and owner growth. The acquisition further leverages Bluegreen’s existing marketing platforms, which include the seven Bass Pro Shops located in Texas, as well as its recently extended relationship with Choice Hotels. The Éilan Hotel & Spa is a 165-guest room, boutique hotel featuring a 10-treatment-room spa, resort-style pools, a state-of-the-art fitness center, tennis courts and virtual golf. Guests are welcomed by Roman arches, modern art and Italian-inspired grounds close to the shopping, dining and entertaining districts of the city. The Éilan is also near the San Antonio Museum of Art, which features a collection of both western and eastern art history, the Texas wine country, the second fastest growing wine region in the United States, as well as Six Flags theme park, the 36-hole La Cantera Golf Club, The Rim (Bass Pro site), Shops at La Cantera and Top Golf. The resort is located within a 120-acre mixed-use development, nested within the foothills of the Texas hill country and is approximately 20 miles from downtown San Antonio, whose nearby attractions include The Alamo and River Walk, a public park spanning five miles along the San Antonio River, lined with shops and restaurants, and over 20 special events throughout the year. Certain statements in this press release are “forward-looking statements” within the meaning of Section 27A of the Securities Act of 1933, as amended, and Section 21E of the Securities Exchange Act of 1934, as amended. All statements, other than statements of historical fact, are forward-looking statements. Forward-looking statements are based on current expectations of management and can be identified by the use of words such as “believe”, “may”, “could”, “should”, “plans”, “anticipates”, “intends”, “estimates”, “expects”, and other words and phrases of similar impact. Forward-looking statements involve risks, uncertainties and other factors, many of which are beyond our control, that may cause actual results or performance to differ from those set forth or implied in the forward-looking statements. These risks and uncertainties include, without limitation, that The Éilan sales office may not be opened as planned, the sales location may not be successful, Bluegreen Vacation Club Owners and marketing guests may not desire to stay at the resort, as well as additional risks and uncertainties described in Bluegreen’s filings with the Securities and Exchange Commission, including, without limitation, those described in the “Risk Factors” section of Bluegreen’s Annual Report on Form 10-K for the year ended December 31, 2017. Bluegreen cautions that the foregoing factors are not exclusive. You should not place undue reliance on any forward-looking statement, which speaks only as of the date made. Bluegreen does not undertake, and specifically disclaims any obligation, to update or supplement any forward-looking statements.